When it comes to purchasing a projector for your home theater there’s usually only one important question for consumers: How much do you have to spend? Because, typically, inexpensive projectors don’t perform well. The idea of, let’s say, a $99 projector that’s bright, clear, and capable of working even in broad daylight seems pretty stupendous. 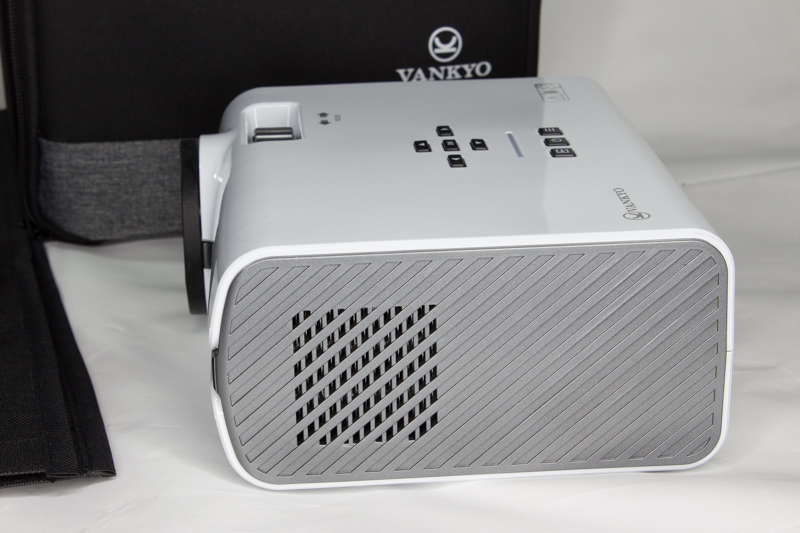 Meet the stupendous Vankyo Leisure 410 LED projector. I got my hands on a review unit about a month ago and haven’t looked back since. No, it’s not going to drop your jaw and make you eschew traditional TVs – we’re talking about a 480p projector that costs less than many projection screens. Hell, I’ve got audio cables that cost more than this thing. But it works better than you might expect. 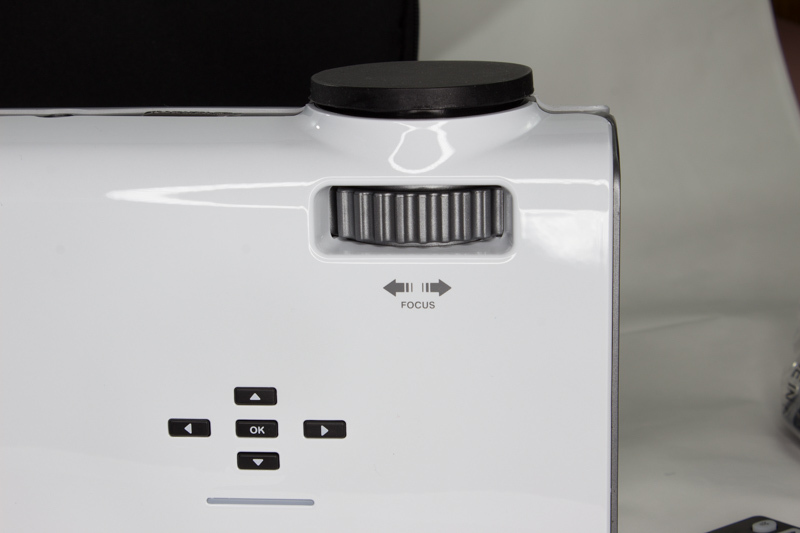 But, beyond its looks – which I found it shares with a few other projectors, something common with Eastern tech products – it’s actually a modest beamer that borders on good. And it compares well to other projectors I’ve used in the sub-$300 range. So, this thing projects a huge image. Vankyo was nice enough to include a fantastic 100-inch projector screen with the review unit and the Leisure 410 has absolutely no problem filling it up. At about 3 meters away (about twice the reccomended optimum projection distance) it still managed to fill up the entire screen with a crisp bright image. 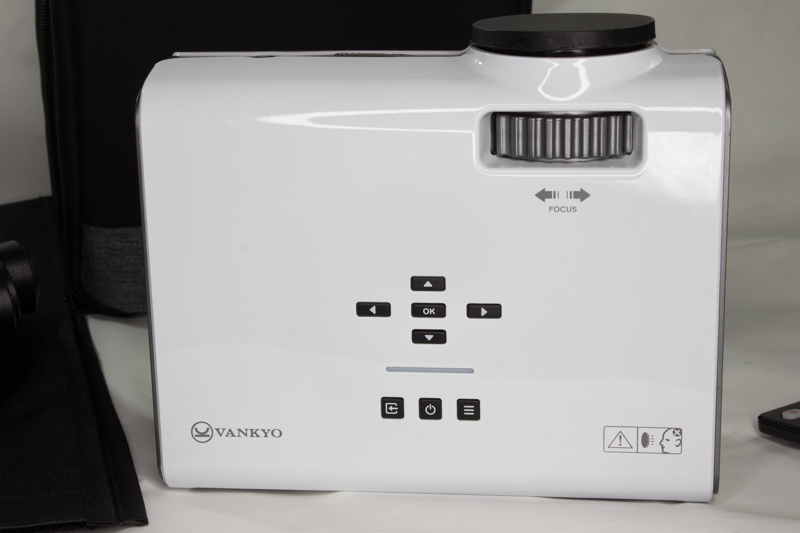 The Vankyo projector screen, by the way, might be the bigger steal here at $27.99. It’s incredibly high-quality and robust enough that if you left it outside in the rain you could just clean it off, dry it up, and use it again. And that’s what’s cool about it: Coupled with the Vankyo projector you can have movie night outside for less than $150 bucks. Inside the house, you can hang it with temporary hooks (or just strap it to a curtain rod like I did). It’s brilliant, but the best part is that it’s not necessary. You don’t need a fancy screen or a perfectly white wall in a pitch-black room to use this projector. The 410 is rated (per Vankyo’s literature) at 2500 lumens, which is quite bright. That means you can project on just about any semi-flat surface. I watched an episode of “Penn and Teller’s BS” projected on dark brown wood paneling that had black vertical lines running from floor to ceiling every few inches – and it was actually watchable. If you’ve got a white wall, a light colored sheet, or just access to some poster board, you’ve got yourself a DIY screen that’ll work fine with this projector. And this thing is easy to use — techies won’t need a manual, and novice users should be able to muddle through all its capabilities without having to call the Geek Squad. For less than a $100 you’re not getting WiFi or Bluetooth, but you do get an internal speaker that isn’t awful, and a remote control that’ll control all the functions you need. Plus, it’s quiet. It has two fans that help it keep cool, but they won’t bug you during movie time unless your incredibly sensitive to background noise. There really isn’t anything to quibble about with this device. Sure, you can get better projectors with more features, but probably not for the same price. 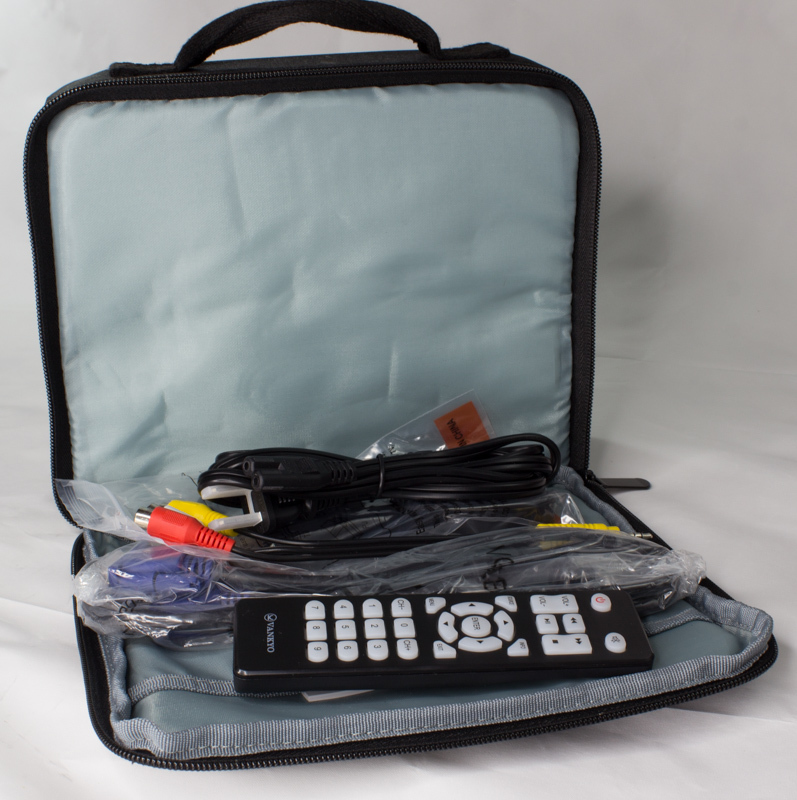 Both the Leisure 410 and the Vankyo projector screen I tested come with clever little carrying cases that make it as portable as your ability to find somewhere to plug it in. I found myself moving this thing all over my house, taking it outside, and even watching romantic videos projected on the ceiling above my bed with my fiancee. It’s perfect for basements, bedrooms, and parties – and if you get drunk and break it you won’t have to sell your car to replace it. The three year warranty boasting a 100% money back guarantee doesn’t hurt either. I highly recommend this for anyone who wants a projector, but doesn’t want to spend big bucks on one. 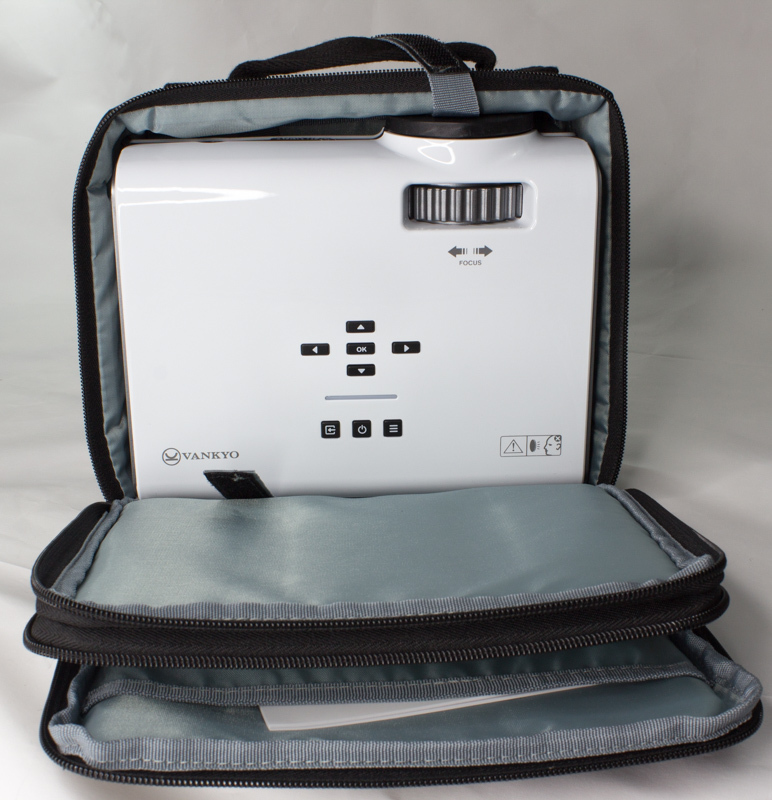 And it’s ease of use and relatively low cost make it a great projector for parents of small children.